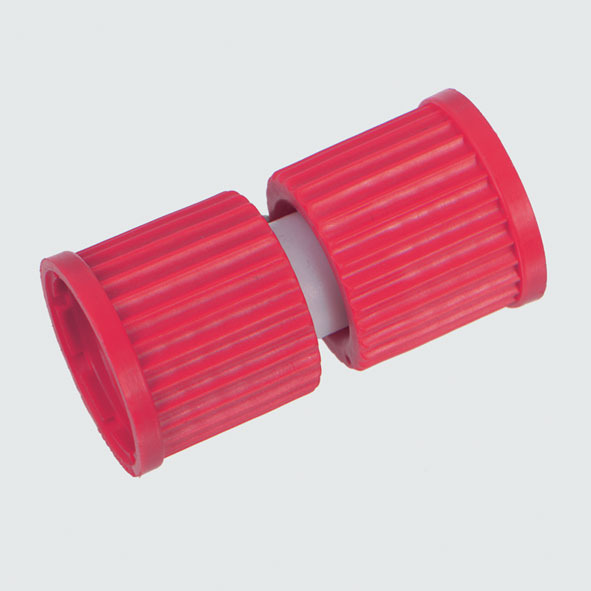 PBTP screw caps, red, fitting GL thread. PBTP screw caps, red, fitting GL thread, without gasket. Silicone gaskets for GL screw fittings, 10 pieces, with PFTE cuff for high resistance to chemicals.